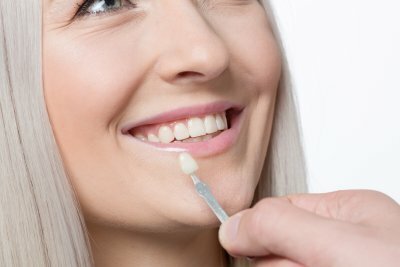 Crowns are small caps which are typically made of a tooth-colored material	like porcelain and are put on top of a tooth to protect and restore it. 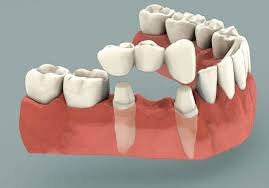 Bridges are small appliances which can be used if you are missing several	teeth, with or without implants. At A1 Dental Care, we offer a number	of different types of both crowns and bridges. Our Las Vegas dentists	have more than 15 years of experience fitting patients with crowns and bridges. Call us now at (702) 450-6060 to get started. Same day treatment options are available	with our Las Vegas dentist!